Probably louder than any Vintage Germanium fuzz and also most pedals and able to create a massive wall of fuzz and sustain. Combining the gain knob with the Tone knob will let you dial in lots of fuzz tones and adapt the Supamodel to different guitars and amps. 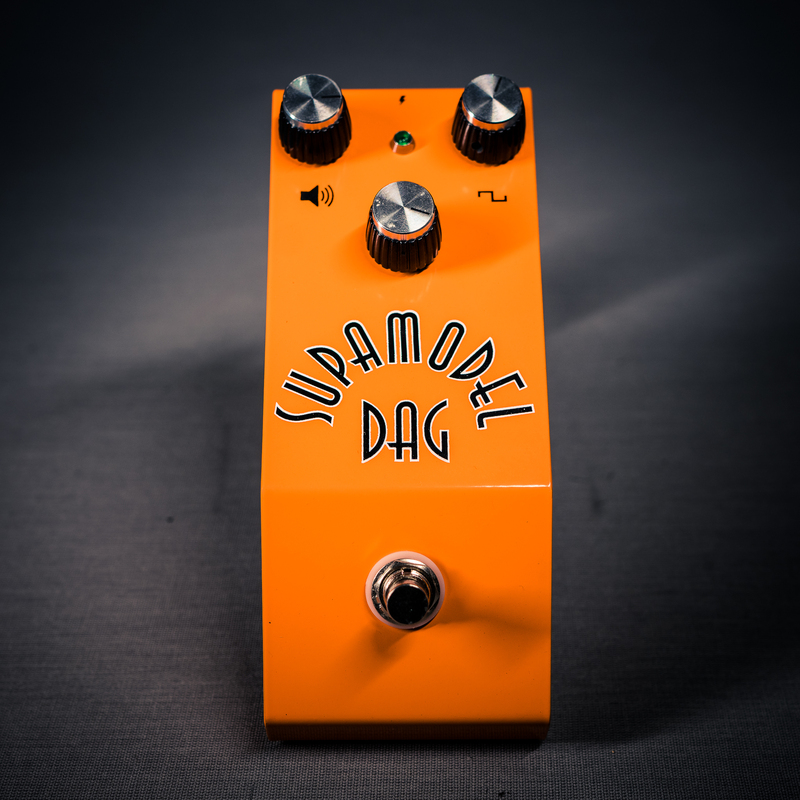 Place your Supamodel first in your signal chain or after truebypass pedals.